I founded the Law Office of Monica Rawlins in 2002 to provide strong and compassionate legal advocacy for individuals, couples and families throughout Houston and Brazoria, Harris, Ft. Bend, Galveston and Montgomery counties of Texas. Whether you are ending a marriage, negotiating a child custody and visitation agreement, adopting a stepchild, creating a valid estate plan to protect your family and assets or probating a will, I am dedicated to assisting you. I am proud to be a lawyer who is knowledgeable, experienced and aggressive when necessary. I start by getting to know you and understand your unique situation and legal goals. I recognize that every family is different, and I tailor my services to meet your specific needs. I guide you through the legal process from start to finish. Through communication, education, sound counsel and caring, skilled service, I strive to ensure you fully understand the law that applies, the possible outcomes and the legal process you will experience — so you can make the most informed decisions regarding your legal matter. Family law ― Each family law case brings its own specific challenges. I represent clients in divorce, child custody, child and spousal support, modifications, paternity actions, pre- and post-nuptial agreements, and other matters. 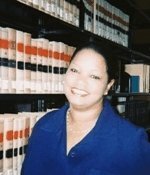 Probate/Estate Planning ― Regardless of the size or complexity of your estate, I assist with wills, trusts, guardianships, estate planning, powers of attorney, living wills and other matters so that you can feel confident making the often difficult decisions required to protect yourself and your loved ones in case of an accident, disability, illness or death. Personal Injury – Each matter is handled on a case-by-case basis and zealously. I will diligently work to obtain desired results, although there are no guarantees made as to the outcome of any individual case. The Law Office of Monica Rawlins, P.C. serves individuals and families throughout the following counties in Texas: Harris, Fort Bend, Montgomery, Galveston and Brazoria. My office is conveniently located at the intersection of Texas Avenue and Main Street in the Binz Building, which is easily accessible using the Metrorail system. However, for the convenience of my clients, I am willing to travel to meet with you. For help with a family law, estate planning/probate matter, or personal injury matter, call the Law Office of Monica Rawlins, P.C. locally at 832-549-3108 or toll-free at 888-834-0856, or contact me online to schedule a free phone consultation. Law Office of Monica Rawlins, P.C. is located in Houston, TX and serves clients in and around Tomball, Houston, Katy, Harris County and Fort Bend County.